Karambir Singh is presently the Flag Officer Commanding in Chief (FOC-in-C), Eastern Naval Command of the Indian Navy. 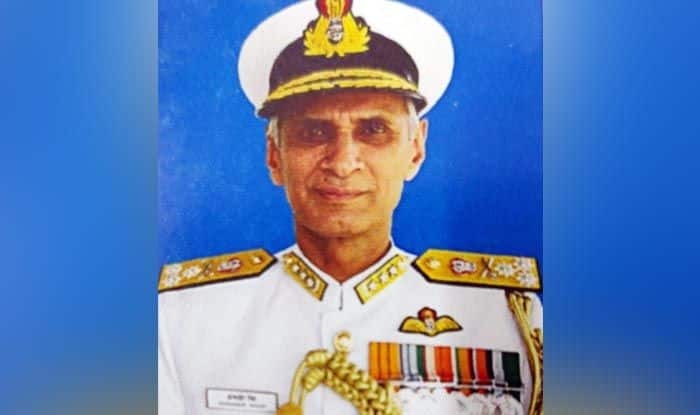 New Delhi: The government has appointed Vice Admiral Karambir Singh as the next Chief of Naval Staff, said the Ministry of Defence on Saturday. The current chief of Naval Staff Admiral Sunil Lanba will vacate the office on May 31, 2019. Karambir Singh is presently the Flag Officer Commanding in Chief (FOC-in-C), Eastern Naval Command of the Indian Navy. He assumed office on October 31, 2017, after Vice Admiral HCS Bisht retired. Vice Admiral Karambir Singh, AVSM, assumed charge as the Vice Chief of Naval Staff on May 31, 2016. The Admiral is an alumnus of the National Defence Academy, Khadakwasla. Commissioned into the Indian Navy in July 1980, the Admiral earned his wings as a helicopter pilot in 1982 and has flown extensively on the Chetak and Kamov helicopters. He is a graduate of Defence Services Staff College, Wellington; College of Naval Warfare, Mumbai and has served as Directing Staff in both these institutions.